By now, you’ve probably caught wind of the disastrous Arrested Development interview during which the cast discussed, among other things, the sexual misconduct allegations against Jeffrey Tambor and how they’re reckoning with the accusations. Things got emotional, and the show’s male cast members are now under fire for some comments in which they defended Tambor’s actions and talked over female cast mate Jessica Walter. Jason Bateman apologized for his part in the chaos Thursday on Twitter, excerpts of which you can read below. During the interview, Walter, who plays Tambor’s onscreen wife Lucille in the five-season (though spanning many more years), banana stand-boasting series following the blunders of the Bluth family, relayed details of verbal abuse on the part of Tambor, describing a time when he berated her on set. In the midst of this discussion, Bateman jumped in, saying, “ ... Not to belittle it or excuse it or anything, but in the entertainment industry it is incredibly common to have people who are, in quotes, ‘difficult.’” You can read or listen to the entire exchange in the original New York Times interview, which was published Wednesday, right here. While Tambor was fired from his Amazon show Transparent, where the alleged sexual misconduct took place, Netflix is standing by him so far. He denied the allegations in a THR interview, which also came up during the Arrested Development cast’s discussion with the NYT. 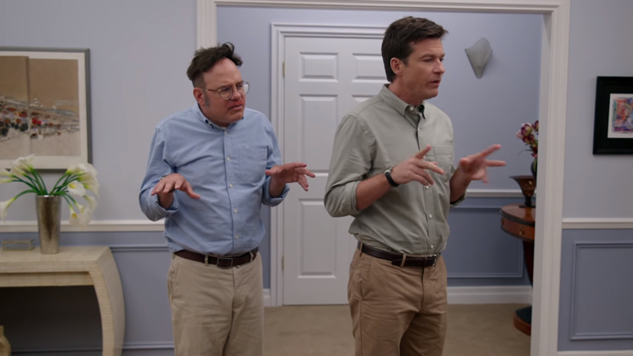 The show’s producers recently released a remixed version of season four of Arrested Development, and season five is on its way to Netflix on May 29. Whether there will be a sixth remains an open question. - horrified that I wasn’t more aware of how this incident affected her.I was so eager to let Jeffrey know that he was supported in his attempt to learn, grow and apologize that I completely underestimated the feelings of the victim, another person I deeply love – and she was..
...part of it all is – there’s never any excuse for abuse, in any form, from any gender. And, the victim’s voice needs to be heard and respected. Period. I didn’t say that and instead said a bunch of other stuff and not very well. I deeply, and sincerely, apologize.